Over the last year, Chromecast has become something of a revelation in our household. I’m rarely without a smartphone in my pocket or a tablet within arm’s reach, so the idea of choosing what to watch in apps like Netflix, and then beaming that content to the TV, has been far more efficient than thumbing around with a remote-controlled set-top box. No device handles this better than Chromecast, and the fact that it costs just $35 is icing. Still, Chromecast hasn’t been perfect. While it’s great for quickly getting to the video you want, it would be nice to have a dedicated remote control to fall back on, with on-screen menus for group viewing sessions and ideas on what to watch. In theory, that’s what Google’s new $99 Nexus Player provides. It includes all the same functionality as Chromecast, but is also a full-blown set-top box with its own remote control, on-screen interface and app store. 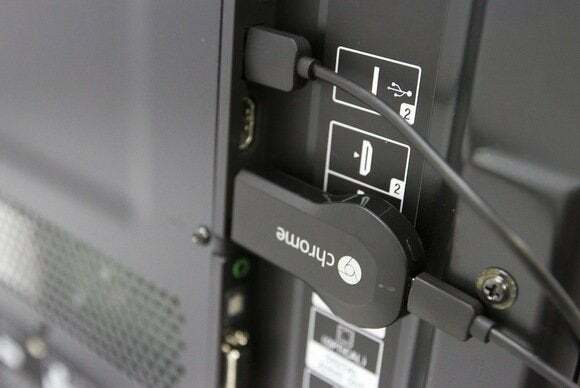 Chromecast plugs directly into your TV. For me, the magic of Chromecast is that it just works despite the lack of a physical connection between the phone or tablet and the television. 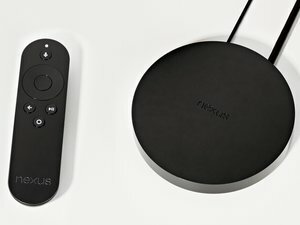 Casting content to the Nexus Player should be just as magical, but in my first week with the device, I’ve experienced several glitches that have shaken my confidence. On one occasion, my phone and tablet simply didn’t see the Nexus Player on my local network, and I had to restart the set-top box to fix the problem. Another time, the apps themselves would load, but no audio or video came out, and I had to restart once again. 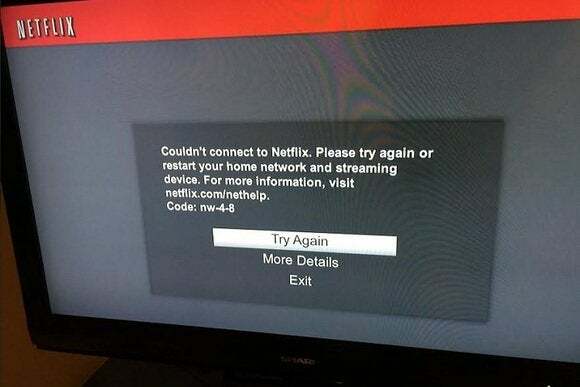 A third problem occurred when I tried to cast a Netflix video and got an error message on the TV, and I could only resolve the problem by grabbing the remote, signing out of the Netflix app and signing back in again. I’ve also had a couple of noisome “Device Lost … Ending Session” messages pop up when casting from Google’s Nexus 9 tablet, though these didn’t cause any functional issues. These kinds of headaches don’t happen as often with Chromecast. While I’ve had occasional problems with Chromecast—MLB.tv can be especially fussy—they are rarities. Having three major errors with Nexus Player in less than a week borders on unacceptable, especially when a device is three times as expensive. When Google announced Android TV (the Nexus Player’s underlying software) in June, it revealed that apps for the set-top box would be able to integrate Cast support. For instance, if you start playing a Netflix video from your phone, you can then pause, fast forward and rewind using the Nexus Player remote, or hit the back button to return to the Netflix menu instead of the home screen. At least that’s how it works in theory. In reality, most app makers—including Google— haven’t bothered to add this level of Cast integration. So if you use Cast to open Google Play Music from your phone, you can’t use the remote to skip through tracks. If you start watching YouTube videos using the remote, you can’t use the mobile app to control playback or drop more videos into the queue. (For that matter, YouTube’s Android TV app doesn’t have a play queue at all.) As a result, you have to think about what device you’re going to use before you even start playback. In fairness, the remote does let you hit pause or play for any Cast content—and this does come in handy—but it would be nice to at least have Chromecast’s basic volume controls as well. The Nexus Player has a gaming component, but the optional controller costs $40. That’s not to say the Nexus Player has nothing special to offer. Certain apps, like YouTube, offer a better leanback experience on the Nexus Player, because it will auto-play new videos after the current one has ended. 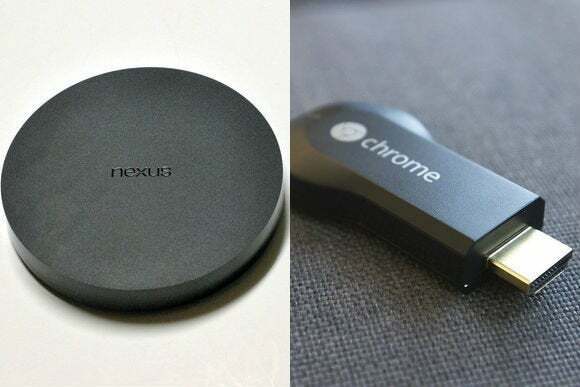 With Chromecast, by comparison, you’re constantly scrambling to pick something new. The Nexus Player’s recommendation bar also has tons of potential, letting you jump straight into content you like without even deciding which app to open. And while Chromecast has a lot of apps that aren’t available directly on the Nexus Player, the reverse is also true for a couple of Nexus Player apps, such as Food Network and Bloomberg TV. I’ll definitely miss those competitive cooking shows once I plug my Chromecast back in. 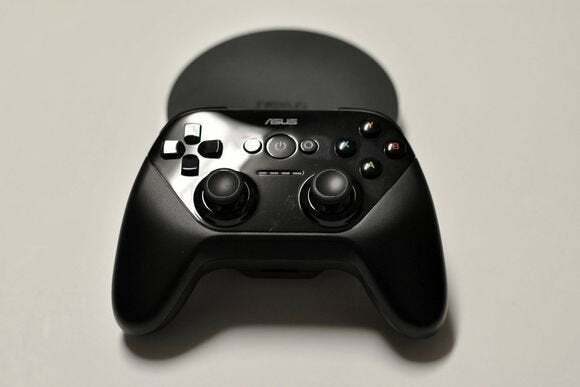 The gaming component of Nexus Player is interesting as well, but you need a $40 controller—more than the price of Chromecast alone—to take full advantage, and it too needs a lot of work to reach its potential. Someday, upgrading from a Chromecast to a Nexus Player or other Android TV device could be a no-brainer, but that won’t happen until Cast functionality becomes more fluid and less wonky, and until Android TV gets more apps. In the meantime, you won’t miss out on much by spending significantly less.